Heads up strong Henderson team. Loves it here and has won 3 times including 16 length victory at Grade 2 level last time out. First run since then but rightful top-weight. Has failed to complete three of last five runs. If he does complete there is a fair chance of hitting the frame. Previous course and distance winner. Seven-year-old has had busy but disappointing start to season. Has won at this level but looks out of form. Fell last time out and carrying too much weight. Classy on his and previous Grade 2 winner. Has shown little this season but any return to old form would give him huge chance off this mark. Eight-year-old has never won at this level and previous run in this grade back in October proved too much. Unlikely to prevail here. Has been running at highest level with consistency, could be well-weighted if fully tuned up. Classy on day. Course and distance winner who won at 20/1 here in November. This far tougher but must be respected. Six-year-old has finished second on last two outings. Needs to settle better and jumping still not the greatest. Course and distance winner here last month at Class 3 level. Disappointed on return but could be well-weighted. Return run last month was disappointing. Won this race last year in career best performance. Will need at least repeat of that to win again. Experienced campaigner but just the one win in two years. Difficult to see the gelding prevailing here. Lightly raced eight-year-old who won on British debut. This far tougher and will need to show more than he did in Ireland. Has not run since March 2017. No notable form over hurdles and best watched on return. Already had four runs since October and has won twice at Class 4 level. Still unexposed and shouldn’t be ruled out. Likely rank outsider. 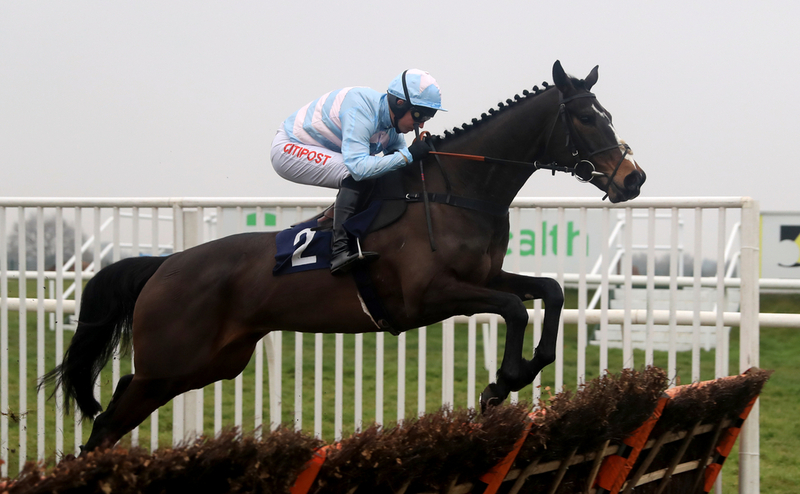 Sole win over hurdles at lower level at start of year. No run since May. Will take career best performance to win here but second behind Totterdown last time out gives each-way chance. Veteran without win for over four years. Solid run in Newbury handicap last time out but unlikely to threaten here. Nine-year-old running for first time since January. Won at Class 3 level this time last year but needs to prove fitness. Well weighted if ready to go. Unexposed four-year-old who could be extremely well-weighted. Has been progressing nicely and has not been outside the first two in three outings this season. First run on hurdles since December 16 when well behind Brain Power. Recent flat form solid enough but has only ever won once over obstacles. Being upped in grade after finishing last season with victory in class 4. Would be a surprise to see the horse win for this small stable. Unexposed four-year-old is 2-3 over hurdles in this country. Last outing was over a year ago and this a major step up in class.